(MP247). Commander Eric Tufnell RN (1888-1979). 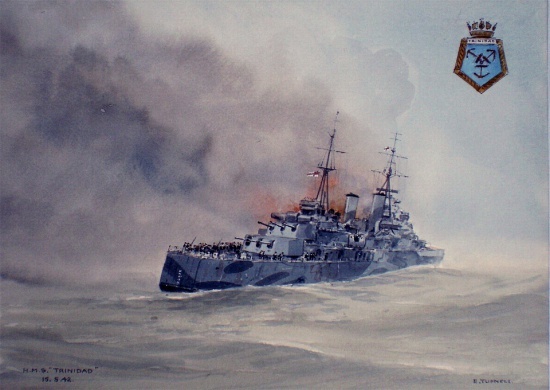 Original Watercolour By Commander Eric Tufnell (1888-1978), Signed E Tufnell lower right and inscribed by him “HMS Trinidad 15.5.42” lower left..